I have decided to scrutinise the BBC for this task. The BBC, or the British Broadcasting Company was first founded by the British Post Office in order to help them deliver broadcasting signals. It was partially set up to avoid them mess that the Americans found themselves in with the large amount of confusing broadcasting services. The BBC has continued to remain a staple of British society and there is always a debate about how it can be more balanced and fair. This entails providing news, current affairs and factual programming to engage its audience in current political issues. This is through the BBC supporting schools through various programmes and schemes in the community, such as having tours going on in their production houses. Producing creative content as well as covering and sponsoring cultural events. This entails sparking discussion about local communities and their issues as well as providing content for these regions. Bringing world news to the UK in order to expand our way of thinking and understanding of international issues. Delivering to the public the benefit of emerging communications technologies and services. This last one essentially means that the BBC should work hard to provide engaging content on new media platforms and technologies such as online and DAB. The BBC has various layers to its organisation that are essential to its running. At the very top there is the director-general, a position currently held by Lord Hall Of Birkenhead. Under the BBC’s royal charter, the BBC is governed by the BBC Trust, a group of people that lead the BBC’s direction. They do this by going through a 6 point checklist. Whilst the BBC Trust runs the leadership and management side of the BBC, the Executive Board runs the operational side of things. It is responsible for the day to day running of the BBC and is comprised of board members inside the BBC and board members outside the BBC in order to provide and external opinion and expertise. At the head of the board is Lord Hall of Birkenhead and is known as the Director-General. His two second in command leaders are Helen Boaden, director of radio and Danny Cohen, director of T.V. The BBC are an international organisation in charge of distributing television and radio products around the world. One of their most notable media products is Top Gear UK. Top Gear’s target audience consists of males aged 18-35, 60% of their audience is male. One of the ways they do this is through the people that they have on the show. The presenters are all male and have been for many years. They also generally have guest members that would appeal to men such as extremely attractive women or extremely manly men. As this show is extremely popular and is not really for young people, the BBC try to make it as accessible as possible. Another extremely significant media product from the BBC is their entire BBC News sector. The BBC around the world is one of the most respected organisations in the world and their presentation of news is held up because they are held to such a high standard of professionalism by the general public. 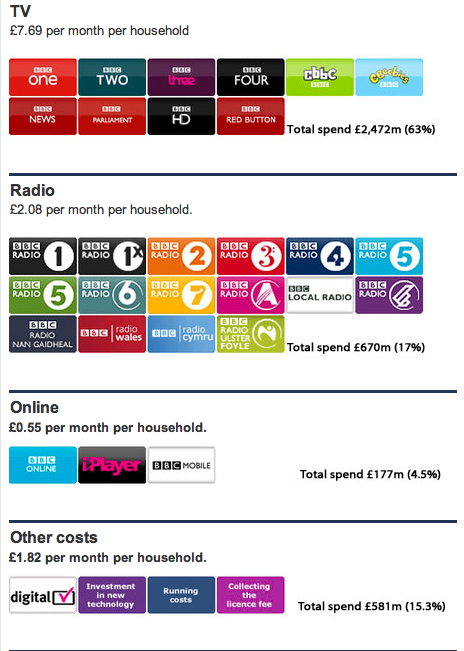 The BBC have many news programs targeted at bringing news to as many demographics as possible. This is the part of the Royal Charter and includes such shows as Newsround for teenagers, Newsbeat for the radio news.